Welcome to your dedicated partner for private charter flights and luxury helicopter lifts in Indianapolis, Indiana and surrounding areas of the Mid-west. Hiring a private jet is the most comfortable, convenient and luxurious way to get there, and our air charter company offers the highest standards in executive and leisure travel. Our private aviation team offers on-demand private air charter service to/from Indianapolis, and with access to thousands of private aircraft around the world, we’re confident we can arrange the right aircraft for your trip, whether flying internationally or domestically. Our private air charter company is Wyvern-certified, and each of the aircraft we use for private flights to Indianapolis are operated by FAR Part 135 (or foreign equivalent) air carriers. Our team has worked with a distinguished list of clients ranging from royal family members, heads of state and C-level executives from major corporations to celebrities, personal assistants and leisure travelers. Enjoy the peace of mind you get from working with a charter broker you can trust, and let our team be your local and global aviation solution for luxury air travel, aircraft acquisition and private jet management. Our Indianapolis Air Charter brokers are available by phone and email 24 hours a day, 7 days a week. With fast response times and consistently above-par service, we go the extra nautical mile to ensure our customer’s satisfaction. Our team can arrange everything from private multi-leg flights with in-flight catering to luxury ground transportation and private helicopter lifts. 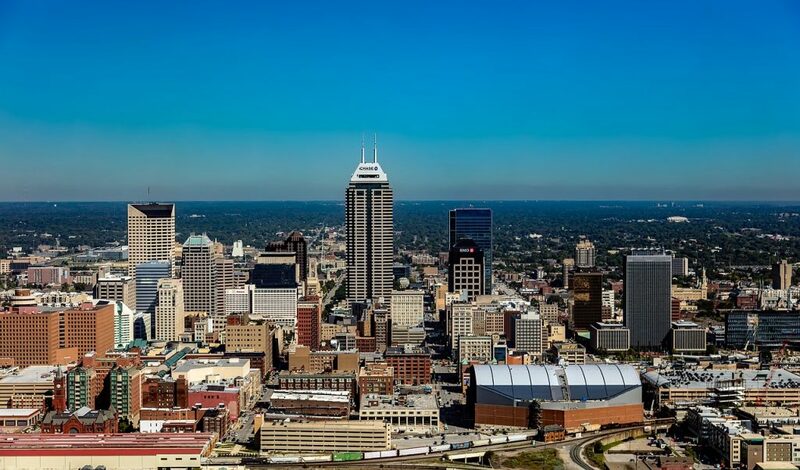 Request a quote or call us to arrange your private jet charter flight to Indianapolis, Indiana. Fly private and arrive at one of the 6 private jet airports in the city of Indianapolis, IN. The city’s main hub is Indianapolis International, and connecting charter flights can be arranged from IND. Post-Air offers the most central arrival option, and is suitable for piston & turboprop aircraft. Private jets tend to prefer either Eagles Creek Airpark, or the city’s executive, metropolitan, or regional airports. No matter which one you choose, each features a private FBO with upscale travel services. Click here for more information on private jet airports in Indianapolis. 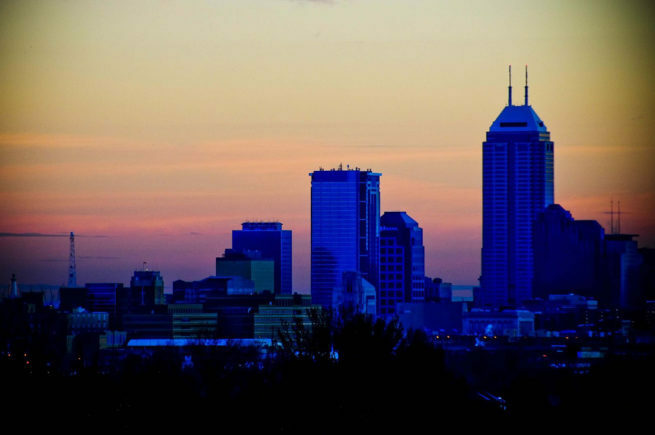 Visit the city of Indianapolis using our private air charter service. The capital of Indiana and the seat of Marion County, Indianapolis is located in the Midwest near White River and Fall Creek. It’s within a day’s drive of 70 percent of the nation’s population, giving it the nickname “Crossroads of America”. The city was originally founded in 1821 to act as the new home of the state’s government. City founders had big plans to turn it into the “Great Inland Port”, however, they failed to take into account that the White River is impossible to navigate throughout most of the year; outside of the spring, the river becomes a series of sandbars and small islands. Although it never came to fruition, the city’s port-desire left it with a beautiful canal district. After growing beyond the Mile Square, the completion of the National Road and advent of the railroad solidified its position as a major manufacturing and transportation hub. Today, its population of nearly a million permanent residents is often skewed by the thousands of visitors it receives every year. Indianapolis is currently the 14th most populated city in the nation, and the second most populous Midwestern city behind only Chicago. The city is warm during the summer months, with average highs in the mid-80s through August, and it experiences a typical mid-western winter, with average highs of 34 degrees. 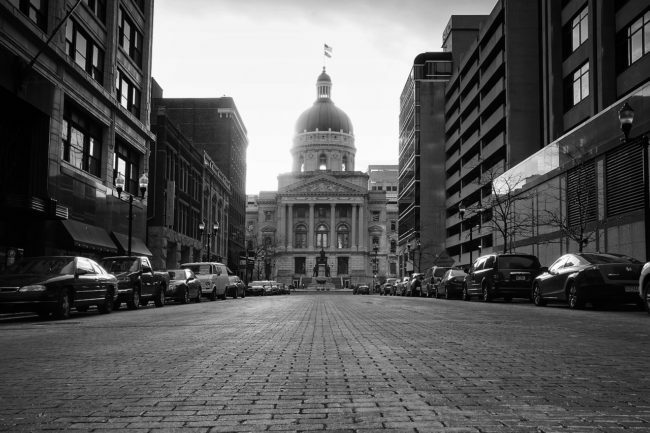 Book a private charter flight to Indianapolis and experience its current cultural renaissance for yourself. Easily described as a big city with a small town feel, this previously demure and benign region is catching up to the other major cities of similar size. While it can’t compete with the mountainous beauty of Denver or the rugged and grungy appeal of Portland, Indy has taken its role as a family-friendly city and ran with it. Young people are moving in and bringing the culture of the more eccentric cities in small doses. Charter a private jet to Indianapolis for a business trip, or for some good, clean, family-friendly fun. Private flyers in Indy should know that the city has several districts, each offering their own spin on the city. Most locals and visitors, however, choose to spend most of their time downtown. From fine-dining, craft beer bars, and live music all connected by very walkable (or bike-able) streets, Indy’s downtown will keep private jet travelers plenty busy during their visit. The area isn’t known for its crazy nightlife or amazing natural beauty, but it does have all of those things. You can go out at night without worrying about the night getting too crazy, and there’s hiking, nature trails, biking, and other outdoor activities in the surrounding areas. Combine that with some really nice museums for art and science, along with a great sports and racing scene, and you’ve got the perfect recipe for a great time. Maybe you’re a motor-sports fan and want to catch the Indy 500 in style by flying private. 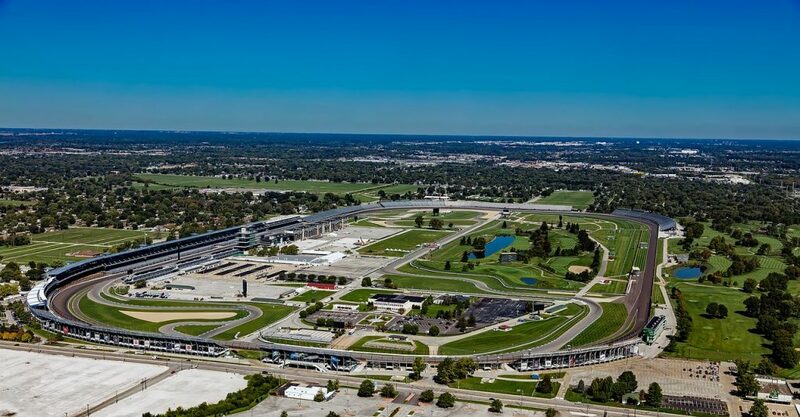 Indianapolis is known as the “Racing Capital of the World” thanks to its proximity to the Indianapolis Motor Speedway, home of the Indy 500 and Allstate 400 at the Brickyard (formerly known as the “Brickyard 400”). No matter where your interests lie, private jet travelers will find that Indy has something for everyone, albeit in small doses. If you’re working up an appetite, then treat yourself and your guests to the nicest restaurant in the state at St. Elmo’s Steakhouse. With its gourmet entrees, professional staff, expert wine pairings, and private dining options, it’s the perfect place for a private party or business event. The local philanthropic community, mostly led by the Lilly Endowment, has been a vital component in the development of the city’s cultural institutions, including The Children’s Museum of Indianapolis, Indianapolis Zoo, and Indiana Landmarks. Charter a private business jet and fly your executives to Indianapolis. 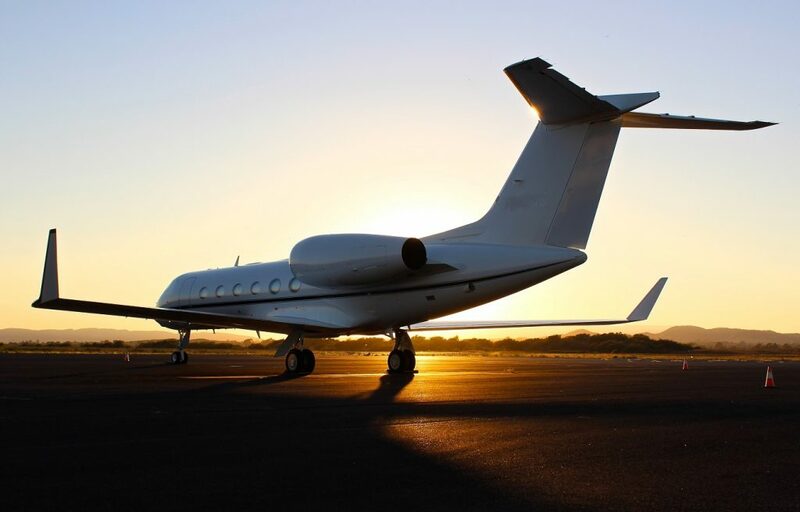 Wyvern certified, our company utilizes the same safety and due-diligence procedures used by Fortune 500 flight departments, giving you peace of mind when arranging your business charter flight. 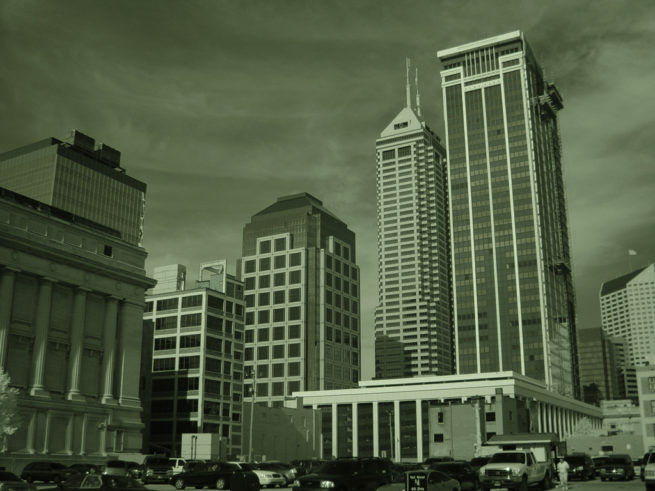 Home to the 26th largest economic region in the United States, the economy in Indianapolis is primarily based on business services, transportation and logistics, education, financial services, hospitality and tourism, and distribution services. Four Interstate Highways converge around the city, making it an important logistics center for distribution. Indianapolis International Airport is the second largest FedEx hub in the country, and the airport ranks 6th overall in regards to air cargo. Indianapolis was once home to over 60 automakers, and it rivaled Detroit as Automotive King of America. Like many of its Midwest neighbors, it has since undergone a bit of de-industrialization throughout the last 20 years, including losing tens of thousands of manufacturing jobs, most notably at Ford, Chyrsler and GM automotive plants. During its transformation, Indianapolis has based its economy in a variety of newer, more modern industries such as biotechnology, pharmaceuticals and health services. The Indiana Convention Center hosts a variety of business events and conferences throughout the year, and a private charter flight to the city’s international or executive airport places you 20 minutes away to the south and north, respectively. In a 2014 report by Battelle Memorial Institute and Biotechnology Industry Organization, the Indianapolis–Carmel–Anderson MSA was the only metropolitan area in the United States with specialized employment in all five of the bioscience sectors: agricultural feedstock and chemicals; bioscience-related distribution; drugs and pharmaceuticals; medical devices and equipment; and research, testing, and medical laboratories. Today, the city is home to three Fortune 500 companies: health insurance company Anthem Inc.; pharmaceutical company Eli Lilly; and Simon Property Group, the largest real estate investment trust in the nation. Other companies based in the city include Cummins, hhgregg, and Allison Transmission. It’s also the fourth fastest growing high-tech area in the country, with nearly 30,000 information technology-related jobs. Thanks to recent cultural developments, it’s no surprise that Indy’s tourism industry is booming right now. Downtown consists mostly of upscale restaurants, retail stores, and hotels that until now have mostly catered to business professionals. Whether you’re heading there for business or pleasure, Indianapolis has a lot to offer to private luxury jet travelers. 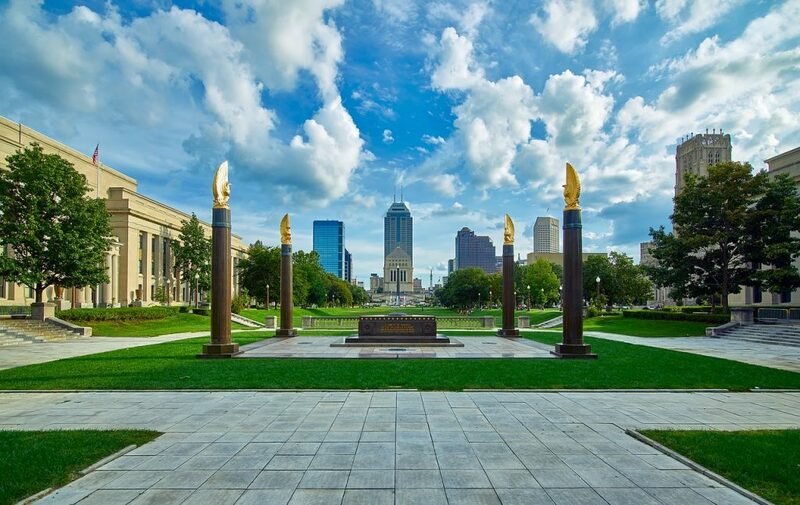 From gourmet American cuisine and friendly locals to a variety of hotels and resorts for luxury getaways, business trips and special events, Indy has everything a big city should have, but just enough of it. The following list of our top choices was created based on factors such as our private jet clientele feedback, location, amenities and online reviews. Once you arrive in Indiana via luxury private jet, our Indianapolis jet charter service brokers can also arrange ground transportation to/from the hotel of your choice. Indianapolis is the busiest region for private aviation in the state of Indiana, and Air Charter Advisors can arrange your charter flight on any of the following private planes. All of the pistons, turboprops and jets we arrange are operated by FAR Part 135 or 121 (or foreign equivalent) air carriers, and many of the planes are based at local airports. Although many of the planes we use are based in Indiana, transient jets and turbo-props passing through the midwest can reduce your charter rate with an empty-leg charter flight. After you request a charter quote and provide your trip details, we’ll provide a variety of options that meet different goals and budgets, whether you’re looking for a cost-effective option, or you want the most luxurious private jet in the area. Private aviation allows clients to arrive & depart at more than 1,000 times to number of airports available through commercial flights. The following airports are the most frequently requested for private jet charter flights within 50 miles of Indianapolis, Indiana. Request a Quote or give us a call at 1-888-987-5387 to speak with one of our Indianapolis Private Jet Charter agents for your next luxury vacation, business trip, or special event.